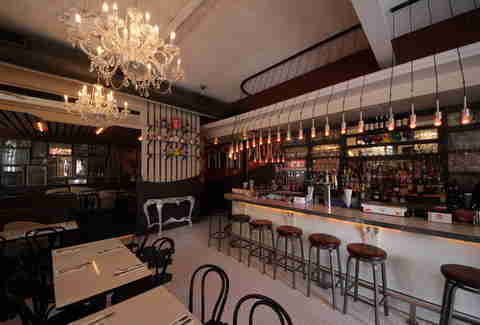 The Sugar Factory: it came from Vegas, celebs (Britney Spears! Drake! Chingy!) 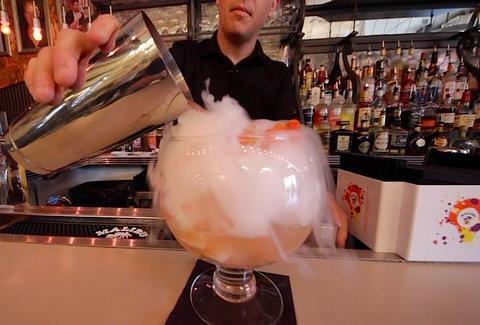 apparently love it, and it's got "The Energy Bear", a 36oz smoking goblet of different vodkas, multiple juices, and a crapload of Red Bull, which is all topped with a fistful of gummi bears that've also been filled with Red Bull, Gushers-style. So, good luck going to sleep any time this month. Isn't this exactly the kind of place you'd want to have a 36oz smoking goblet of vodka and Red Bull Gushers? Ok, maybe not, but even Wonka has to grow up at some point, apparently. 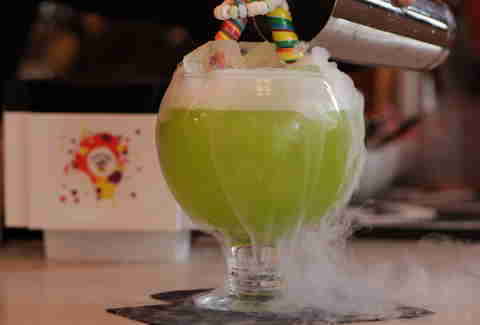 This bubbling chalice of booze and candy is the Lollipop Passion, and in addition to those two long, old-school lollipops and a candy necklace, it's filled with vodka and coconut, pineapple, and melon juices. 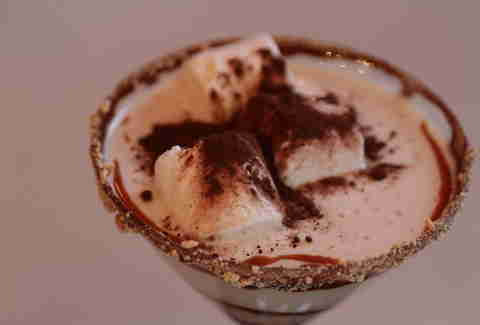 This is the s'mores cocktail, and it's far more enjoyable than uncle Kevin's fireside spooky story about the dude with the hook-hand, who... OHMYGOD THAT'S HIM JIGGLING THE DOORKNOB RIGHT NOW!!!! 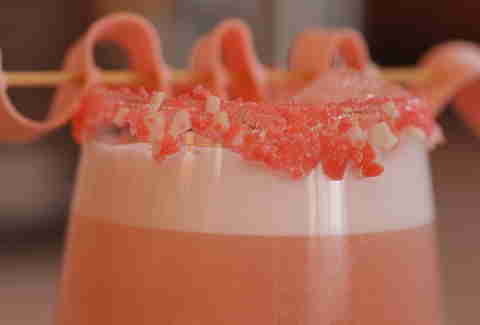 The Hubba Bubba is garnished with a bubble gum ribbon, rimmed with bubble gum Pop Rocks, and killed Mikey from the Life cereal commercials. Had enough yet? Of course not. 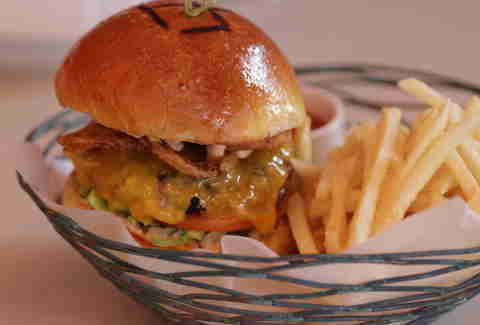 Wash it down with a cheeseburger, sans candy.